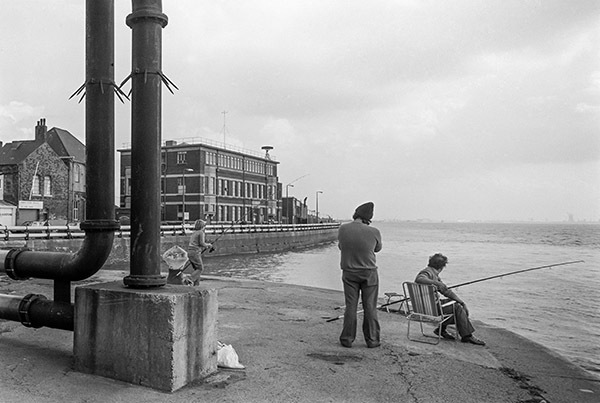 Currently showing at the HIP Gallery in Hull until May 18th is ‘DOCK‘, showing St. Andrew’s Dock in Hull from its heyday as the heart of Hull’s thriving fishing industry through its decline into dereliction to how it stands now, as a sad wasteland. 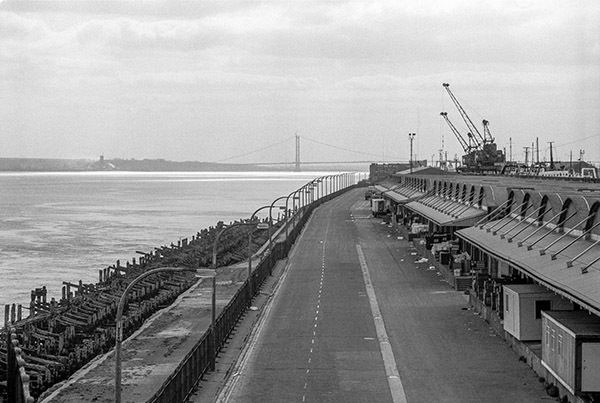 The show was curated by Hull photographer Will Slater, who asked me to send a dozen of my pictures he had seen on my Hull web site, Still Occupied: A View of Hull, for it. St Andrew’s Dock was built in the 1880s, opening in 1883. Though it had been designed for coal and general trade, from its opening it became the dock for what was then a fast growing fishing industry. It needed to be extended in 1895. There were plans for further expansion and modernisation in the 1930s, but these came to nothing. 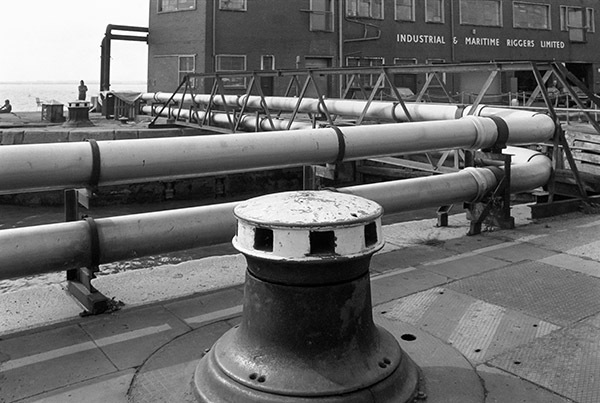 In 1972, the neighbouring Albert and William Wright docks closed to commercial traffic and three years later in 1975 the fishing fleet moved to these, leaving behind St Andrew’s Dock, where the fish quay was in poor condition and the dock not suited to the modern large trawlers. 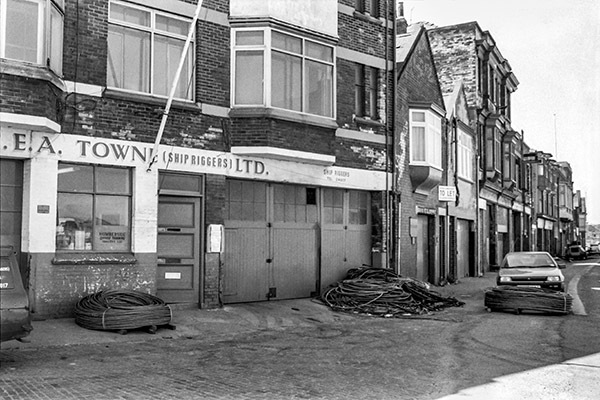 But the Cod Wars soon put an end to Hull’s fishing industry, and later still what little fish there was being landed (mainly from Icelandic boats) in Hull moved to Grimsby. 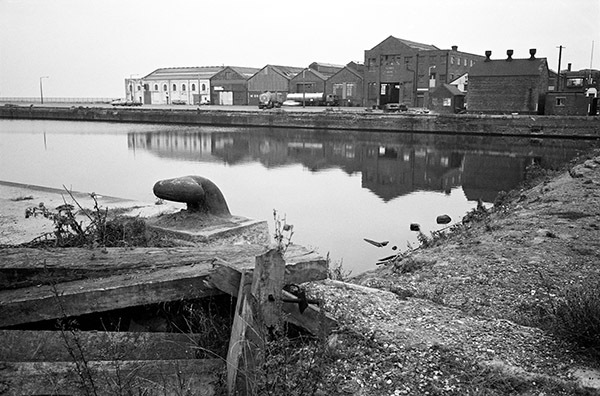 My pictures in the show all come from 1981-1985, when most of the dock and its buildings were still there, some still in use as offices and workshops. It was only a short walk from them to the new home for the trawlers. Now relatively little remains, the main Lord Line building is there, but has been left open to vandalism, almost certainly deliberately, along with a couple of listed buildings and I two others when I photographed there last year. There has been considerable controversy about the future of the site, with several proposals coming to nothing. The west of the site was years ago turned into the St Andrews Quay Retail Park, but the older part remains, the dock entrance closed and the dock silted up. 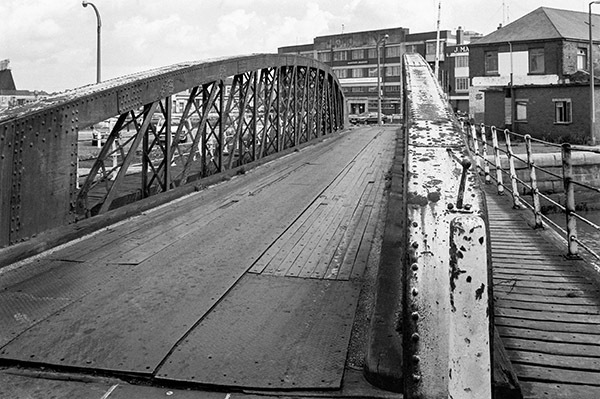 It has become a popular subject for many taking pictures in Hull, and some of these by others including the curator form the third part of the show. I was a little embarrassed by the state of some of the pictures I was asked to provide as the years haven’t dealt kindly with the negatives. Back in the 1980s too, technical standards perhaps weren’t so high as we seldom saw most pictures larger than 8×10 inches, while now they appear (in small sections) on my screen at perhaps 60 inches across from a full size scan – though prints at 300dpi will be a more sensible size. Fortunately it is now also possible to correct some – but not all – of the defects digitally. I’ve yet to see the actual show, but hope to go before it closes. The pictures on this post are some of those that I sent and may not all be on display. For most of them it will be the first time they are seen in Hull, though I think a couple were in the 148 of my images shown at the Ferens Art Gallery in 1983. This entry was posted on Tuesday, April 10th, 2018 at 07:33 pm and is filed under Hull Photos, My Own Work. You can follow any responses to this entry through the RSS 2.0 feed. You can leave a response, or trackback from your own site.